Launch Blender and you should see following layout on the screen. 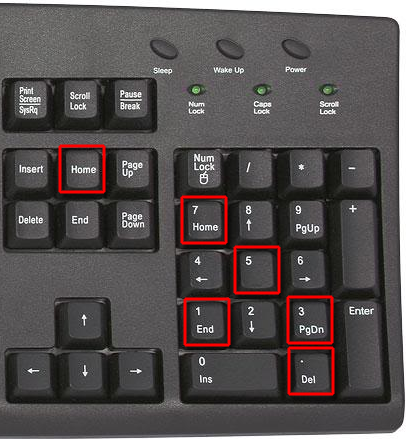 Use Number pad shortcut key or ‘View’ menu to change to Orthographic views. 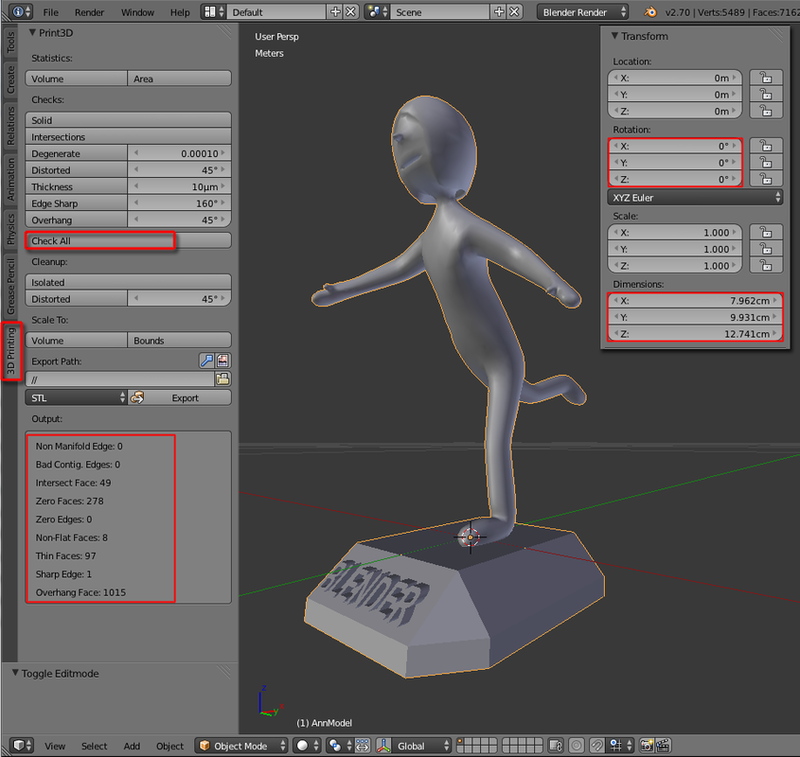 Goto File >User Preferences > 'Input' tab: ‘Select With:’ to change ‘Select With’ “Left”(LM) or goto ‘Presets’ to choose either MAX or MAYA manipulation style. 1. 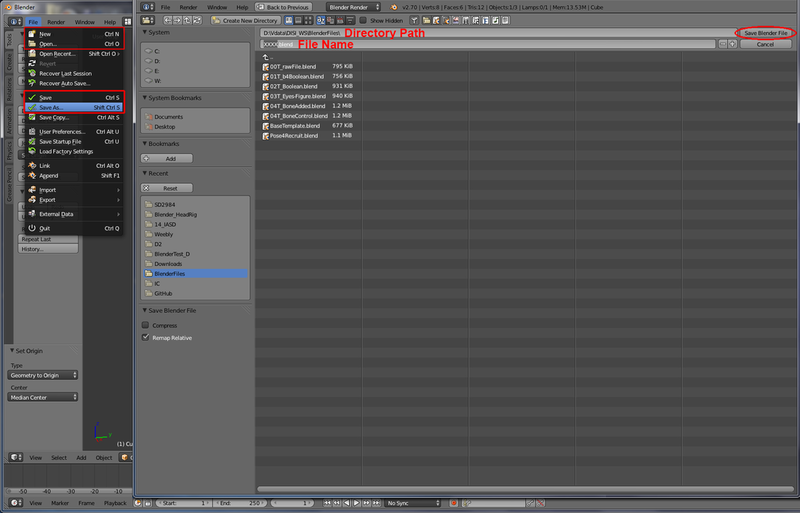 File > New, or Ctrl + N to start a new scene. 4. 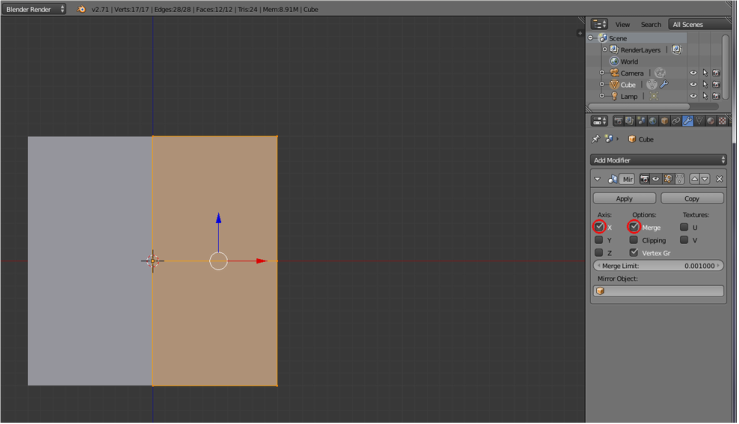 Hit B key to "Border Select" the left hand sided vertices. Make sure the "Limit to Visible" button is on. 8. Switch to Faces mode. Select both the faces on top right hand side. 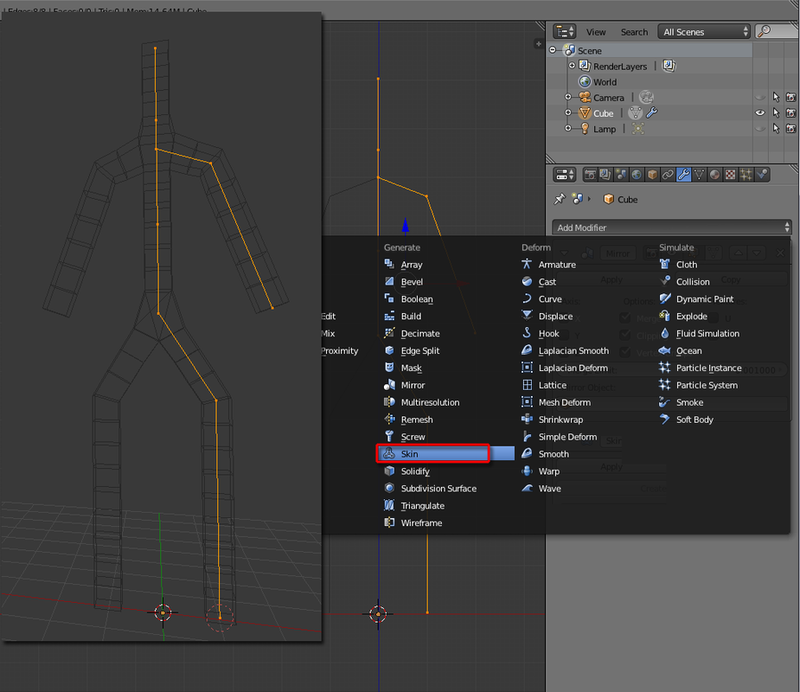 Tool Shelf > Tools > Add: Extrude > Region (or hit E for shortcut key) and drag to extrude the arm. Do it once more to extrude a forearm. 9. Do the same to create the leg. 10. Switch to Object mode. Hit Apply inside the Mirror panel. 11. Switch to Edit mode. Make sure cursor is in center and goto Tool Shelf > Create > Cube. Grab Z to place it as head. 12. Switch to Object mode. 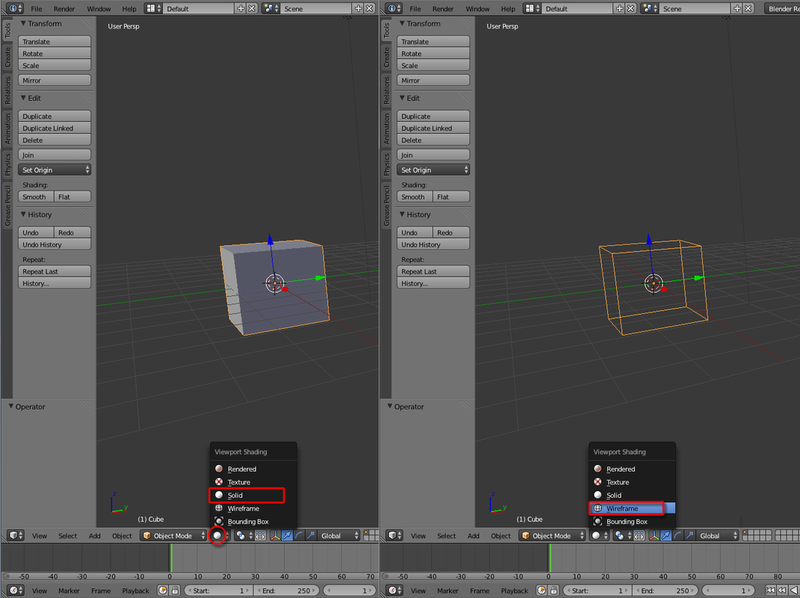 Properties Shelf > Modifier > Add Modifier > Subdivision Surface. 13. Inside the panel, Input 3 for Subdivision view level. 14. Scale Y to reduce the thickness. 15. Properties Shelf > Scene > Units: Metric. Change Scale to 0.01 and check it's Dimensions in the Properties panel. Scale the model up or down if needed. 16. Switch to Edit mode. Tool Shelf > Create > Ico Sphere. Input Size 1mm and Grab X and Z to locate the eye. 17. Grab and Scale Y to fix it's location and dimension. 18. Tools > Add: Duplicate and Grab X to local the other eye. 19. 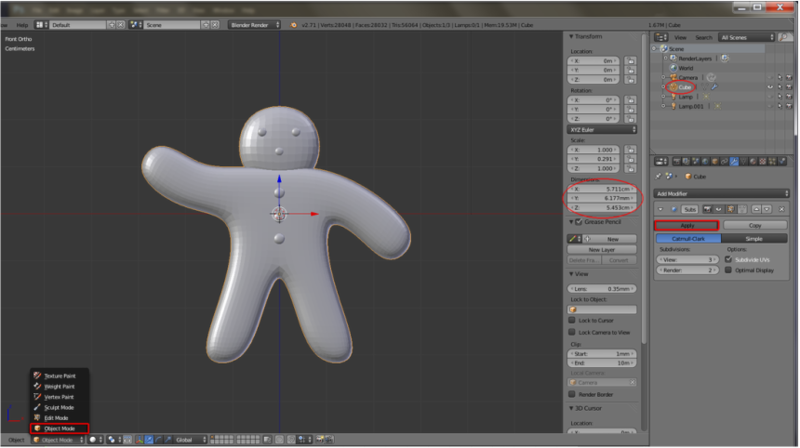 Duplicate a few more times to create a mouth and several buttons. 20. 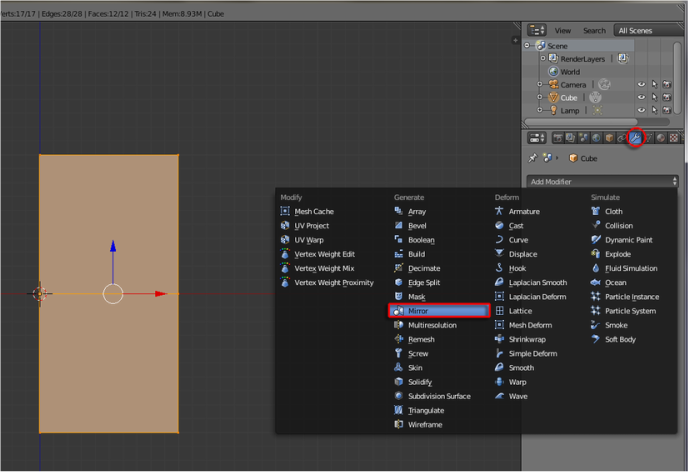 Select vertices (or hit B to apply border selection tool). Rotate and Grab to shape his limbs. 21. Switch to Object mode. 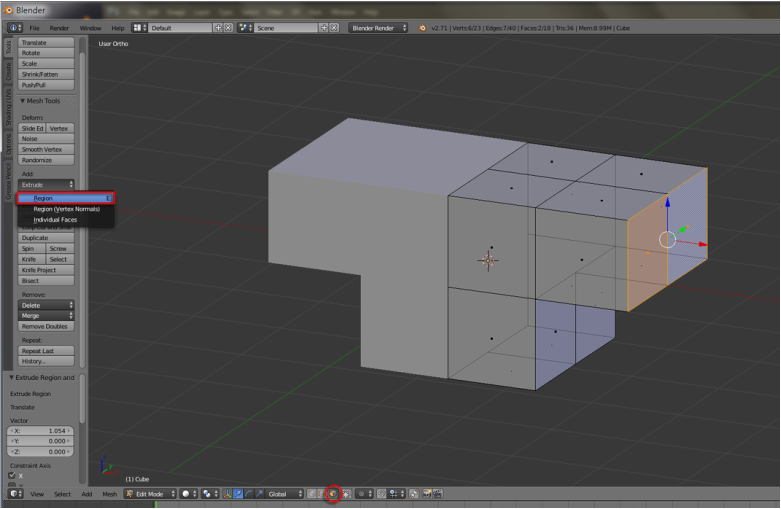 Properties Shelf > Modifier > Apply Subdivision Surface. Double check the dimension and make sure there is only one geometry model in the scene. 22. Switch to Edit mode. Hit A to select all vertices. 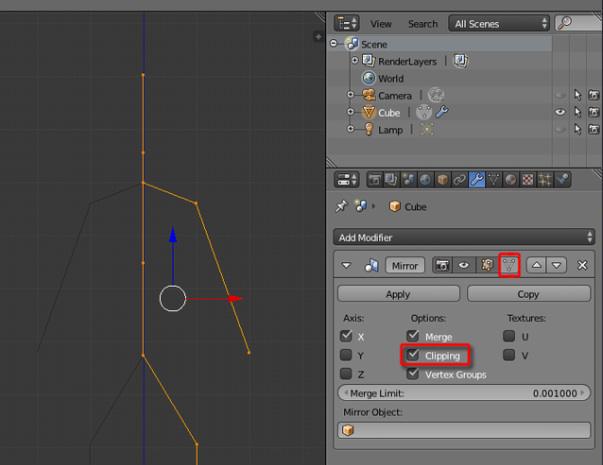 Tools > Remove: Remove Doubles to delete extra vertices. 23. 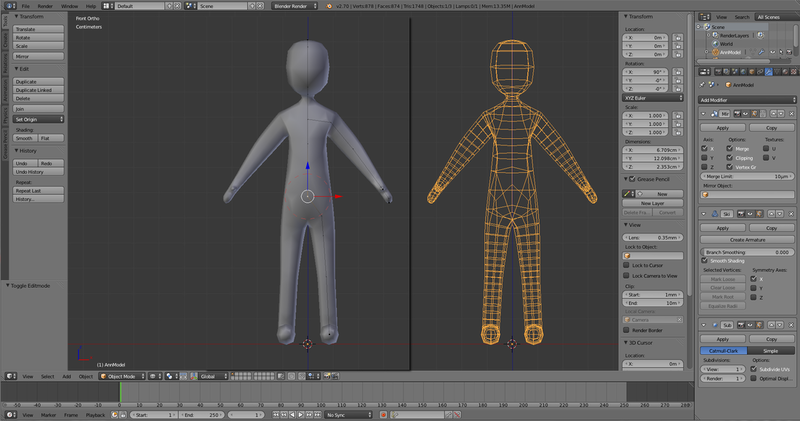 Hit A again to unselect all vertices. Hold Sht + Ctrl + Alt + M to launch Non Manifold command. 24. File > User Preferences.. > Addons. 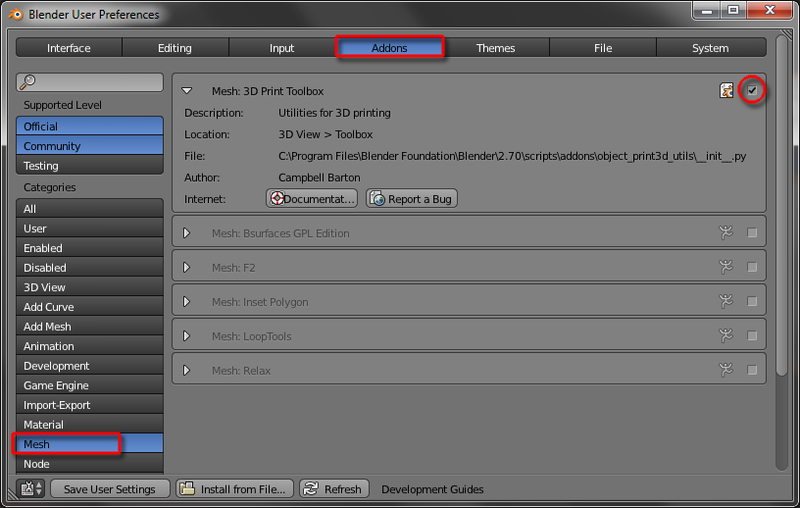 Firstly select Mesh from Categories, then check "Mesh: 3D Print Toolbox". 1. File > New, or Ctrl +N to start a new scene. 3. 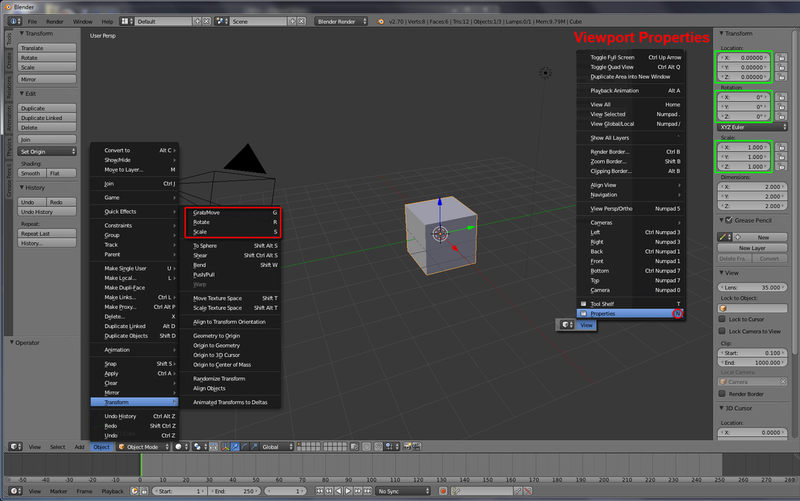 Tool Shelf > Mesh Tools > Merge > At Center, and choose “At Center”. 3. 打開 Tool Shelf > Mesh Tools > Merge >選項按"At Center"
5. Tool Shelf > Mesh Tools > Add: Extrude > Vertices Only. Hit Z key once to constraint to Z axis. 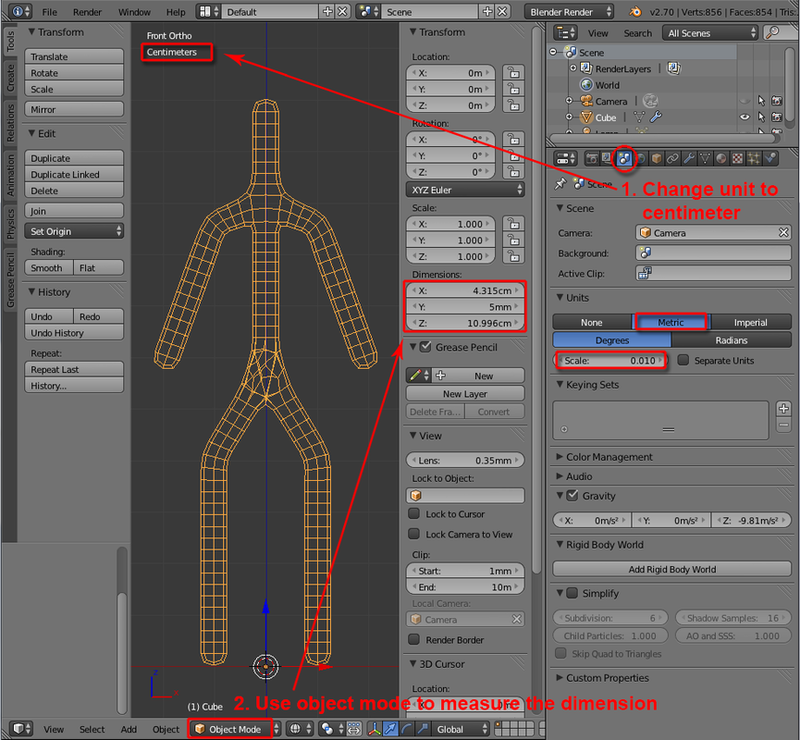 Repeat the Extrude command (or hit E for shortcut key) to complete half of the skeleton for your character, alike the figure below. 6. Firstly switch to ‘Edit Mode’, or hit Tab doing so. 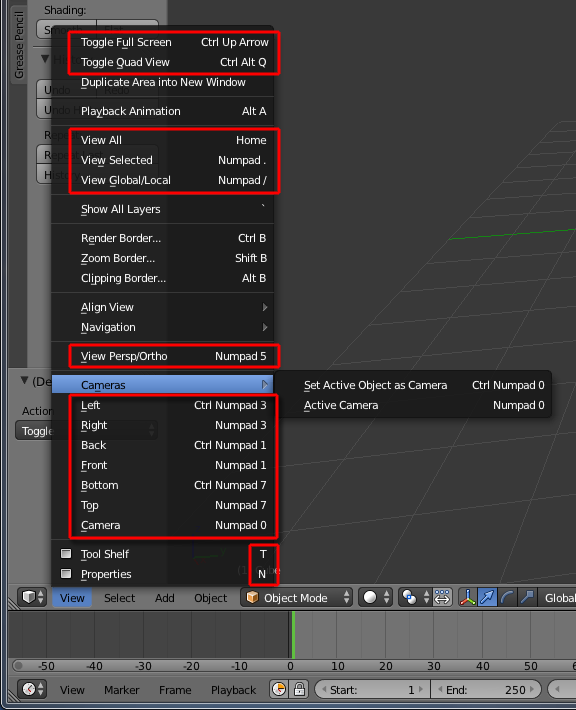 Then on the right hand side’s ‘Properties’ window, select ‘Modifier’ tab, and click the ‘Add Modifier’ to access its pull-down menu, choose “Mirror”. 7. Inside the Mirror panel, check ‘Clipping’. Also, check the ‘Editing cage’ to preview the other side (not a must). 8. 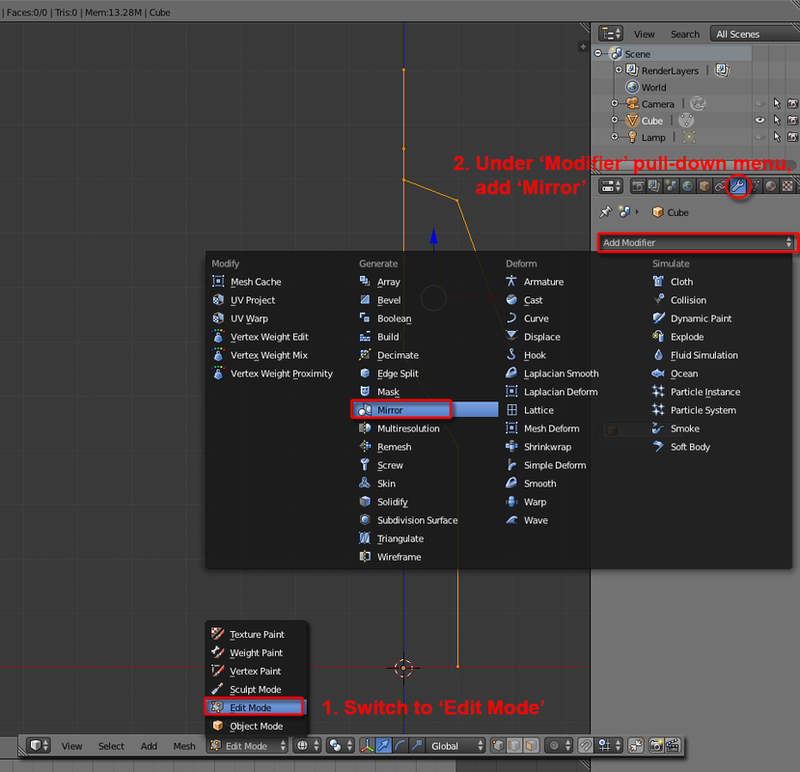 Use ‘Add Modifier’ menu again to add “Skin” modifier. Select “X” under the Symmetry Axes. 9. 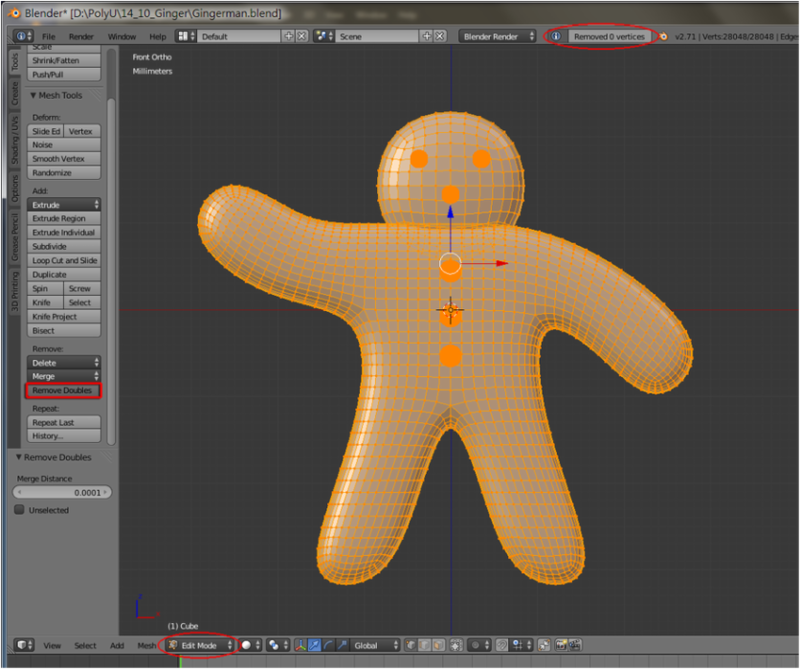 Use ‘Add Modifier’ once more to add “Subdivision Surface”. Set ‘View’ level to “1”. 9. 再按Add Modifier，選擇Subdivison Surface，設定View值為"1 "
11. Return to “Edit Mode”. 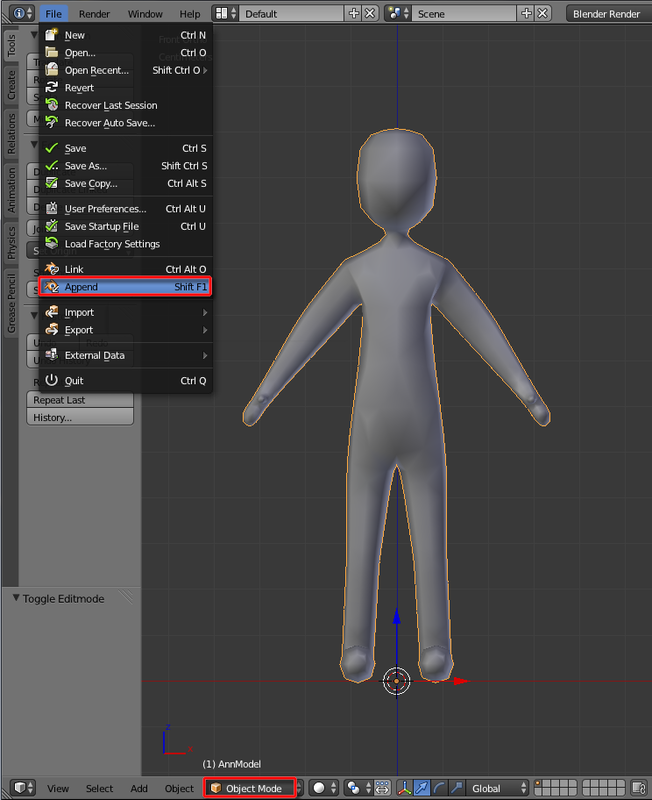 Highlight the pelvis point of your character (alike the picture underneath), then inside Properties Window’s ‘Skin’ section, click “Mark Root”. 12. 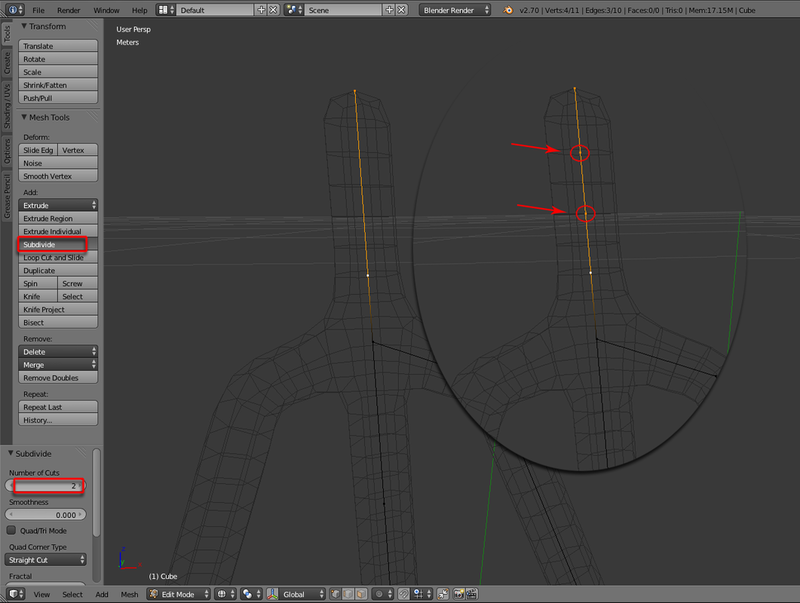 When extra vertex is needed in a bone, firstly highlight the two vertices. 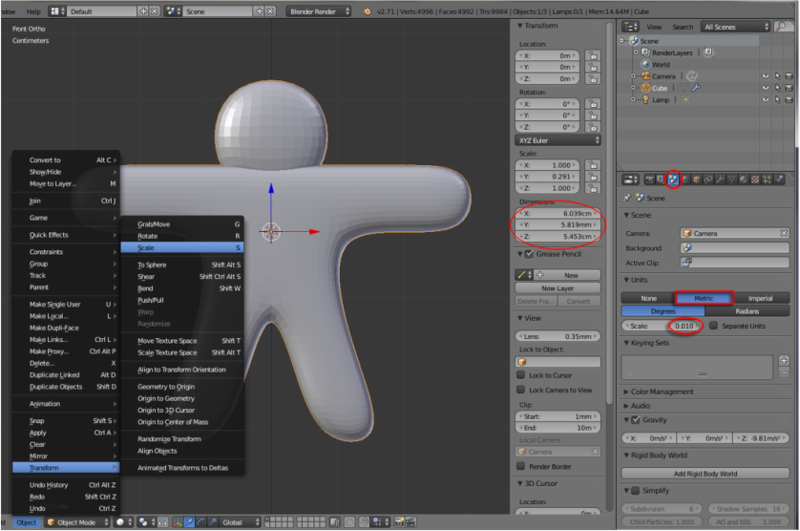 In the Tool Self > Mesh Tools > “Subdivide”, and if you need two extra vertices instead, change the value of ‘Number of Cuts’ to “2”. 13. If you need to adjust position of the inserted vertex, highlight it, then goto Window Header > Mesh > Transform > Grab/Move, or use shortcut key G to do so. Click Z once to constraint Z axis. 14. 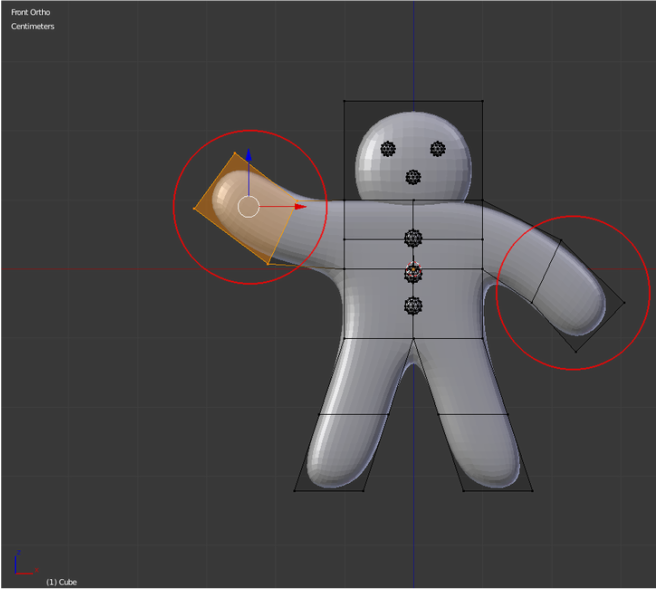 When need to scale the vertex skin, highlight all the appropriate vertices. Ctrl +A and Drag to scale up or down. 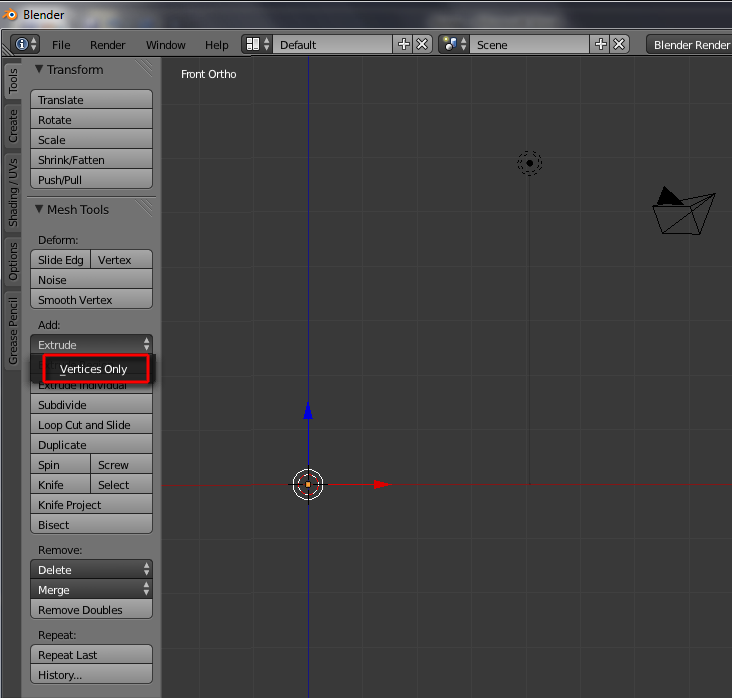 (you can hit X or Y key to set constraint to the axis if needed). 15. Whenever need to move vertices, highlight them, then goto Window Header > Mesh > Transform > Grab/Move, or use shortcut key G to do so. 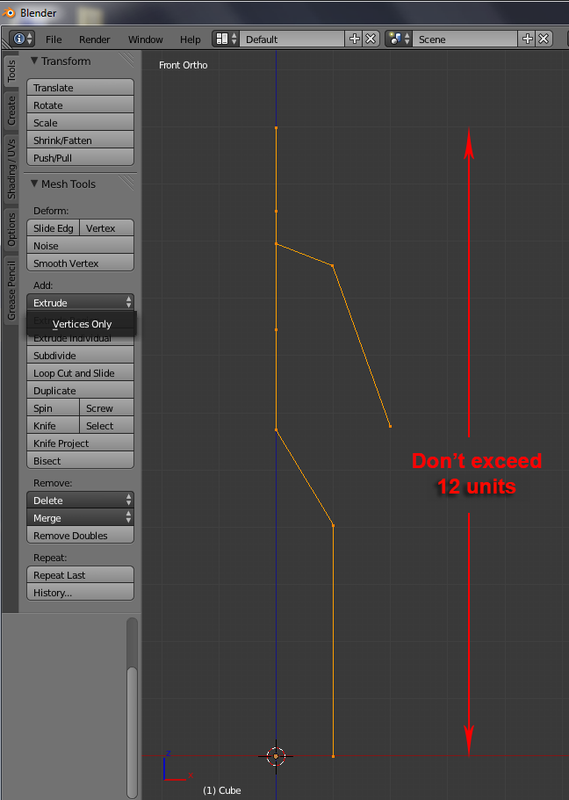 Click Y once to constraint to Y axis. 16. 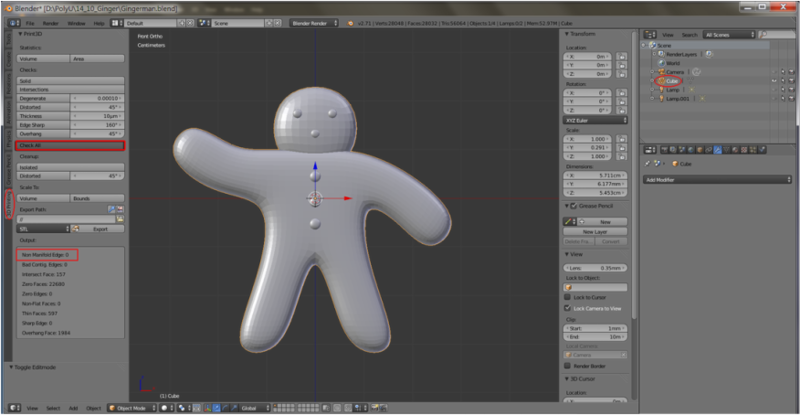 Keep inserting extra vertices and then carefully sculpt the body shape with Scale and Grab/Move tools. *Download and feel free to use “01_BipedTemplate.blend” to polish up your own biped character (or download other available scenes as wish). 17. 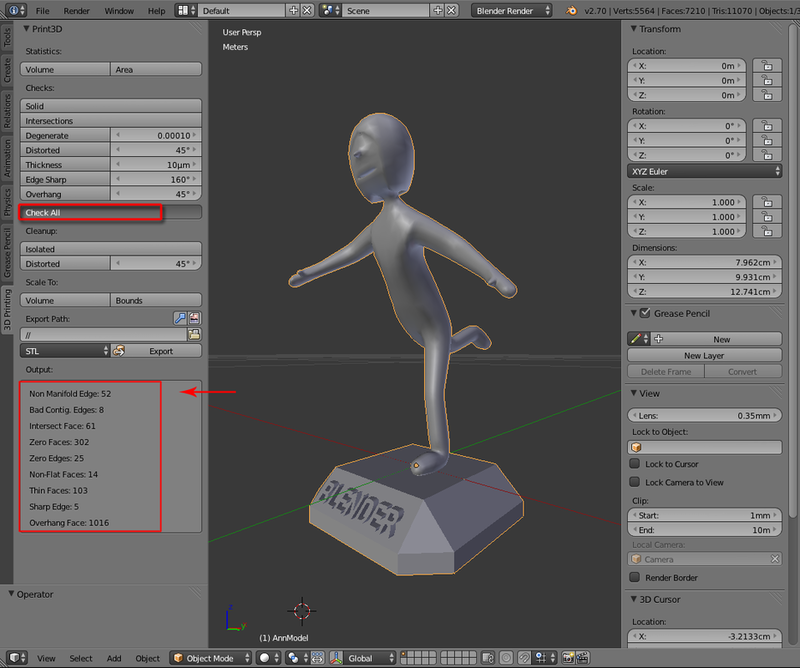 After finishing the basic shape of your character (would build details later), and check your model is within 13 cm3 at this stage. 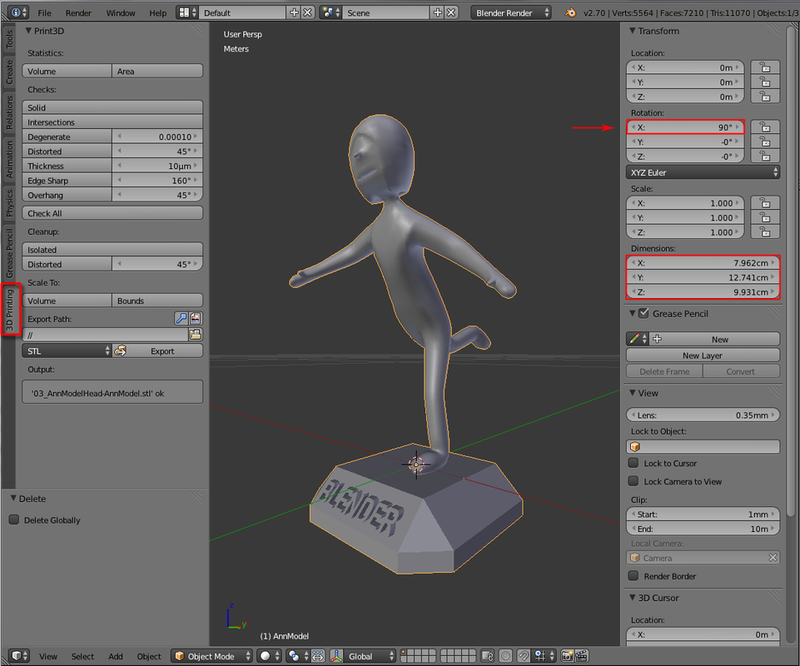 We now import the ‘Base Template’ for easy posing your character. Switch to “Object Mode” first, then File > Append and goto the folder you saved the “BaseTemplate.blend” and click this file name. 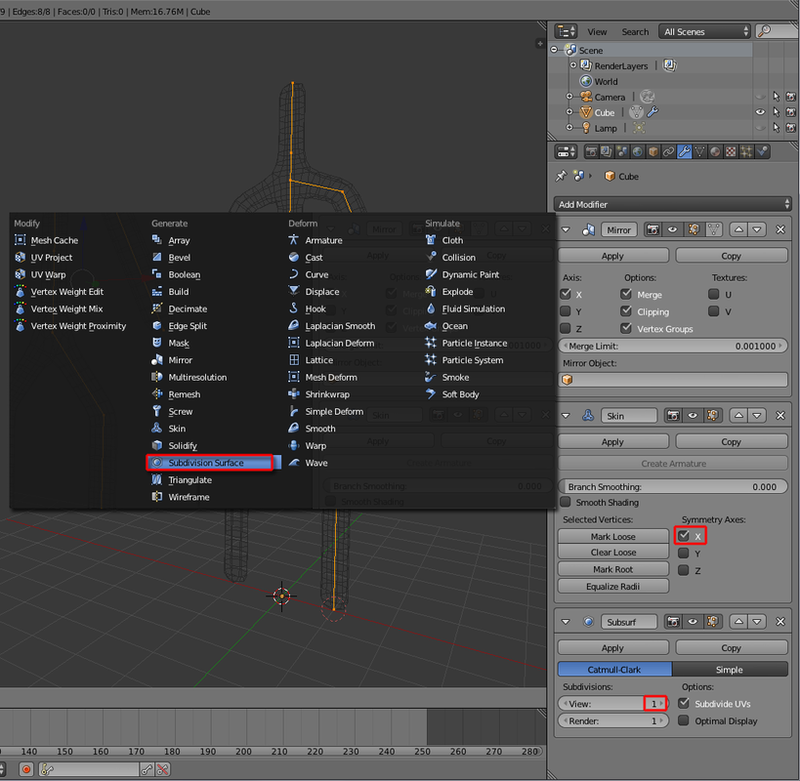 Then select “Object folder” from the list. Lastly, select once more “BaseTemplate” and click 'Link/Append from Library' to complete the appending. 18. 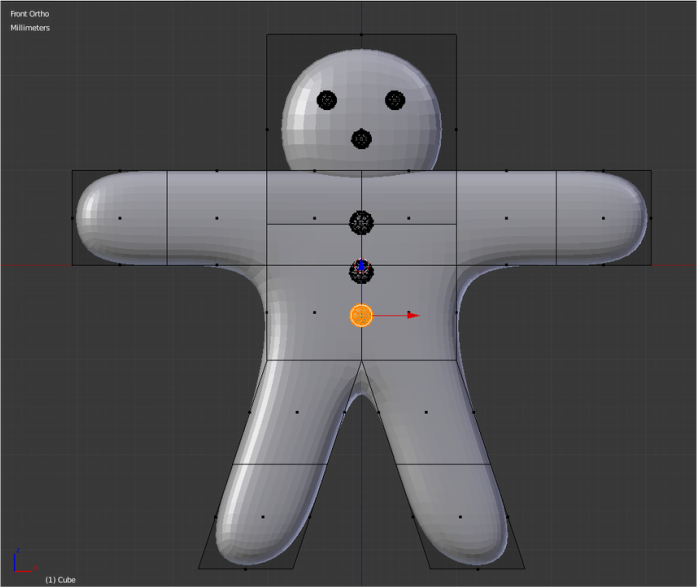 Highlight the model mesh, inside ‘Mirror modifier’ panel, hit “Apply”, then hit “Create Armature” under the “Skin modifier” panel. 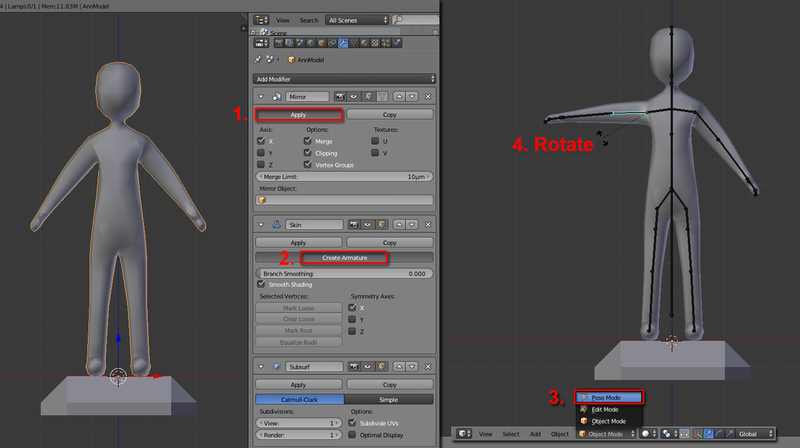 Switch from Object Mode to “Pose Mode”, select any bone to Rotate the joint, or use R key to do so. 19. 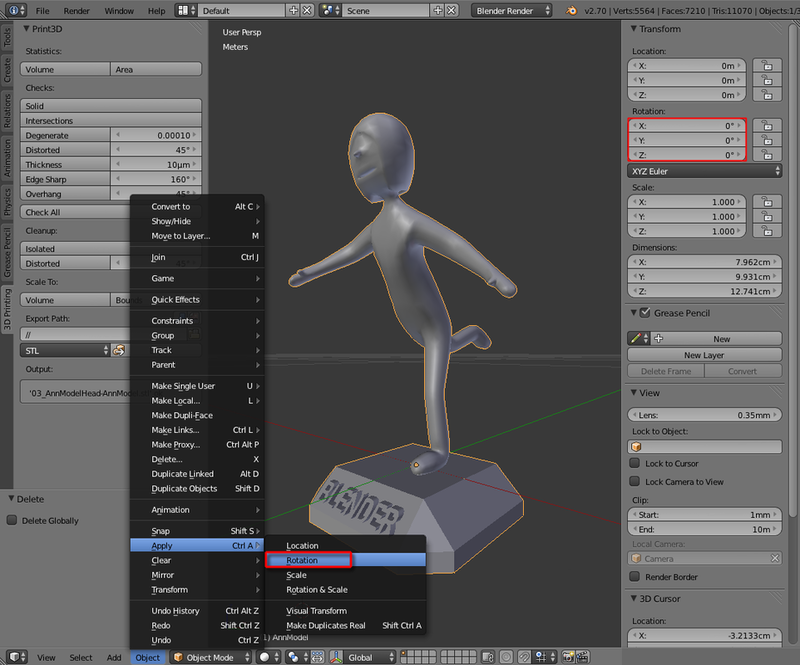 Use 'Rotate' and 'Grab/Move' tool to pose your character on the base platform (you can design your character’s posture) and make sure the final combined mesh won’t exceed 15 cm3. 21. 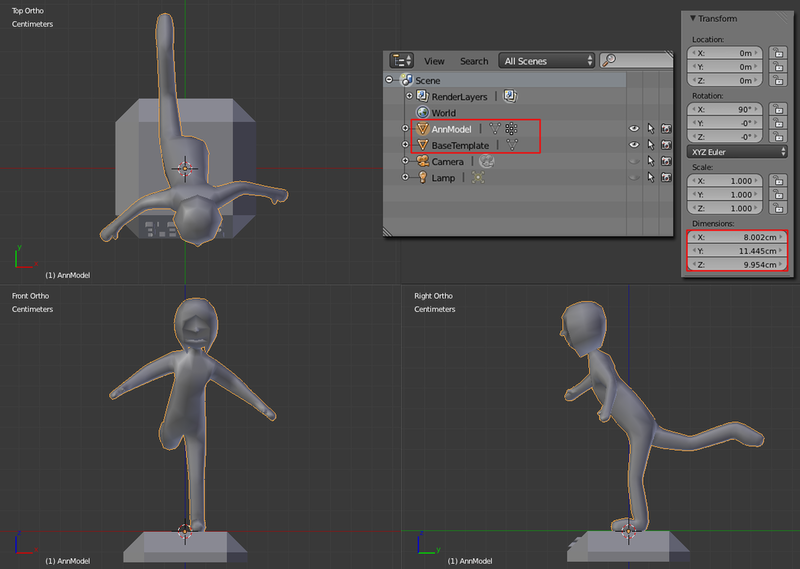 Select the Armature bones in “Object Mode” and hit X (Delete key) to confirm deleting the armature. 22. 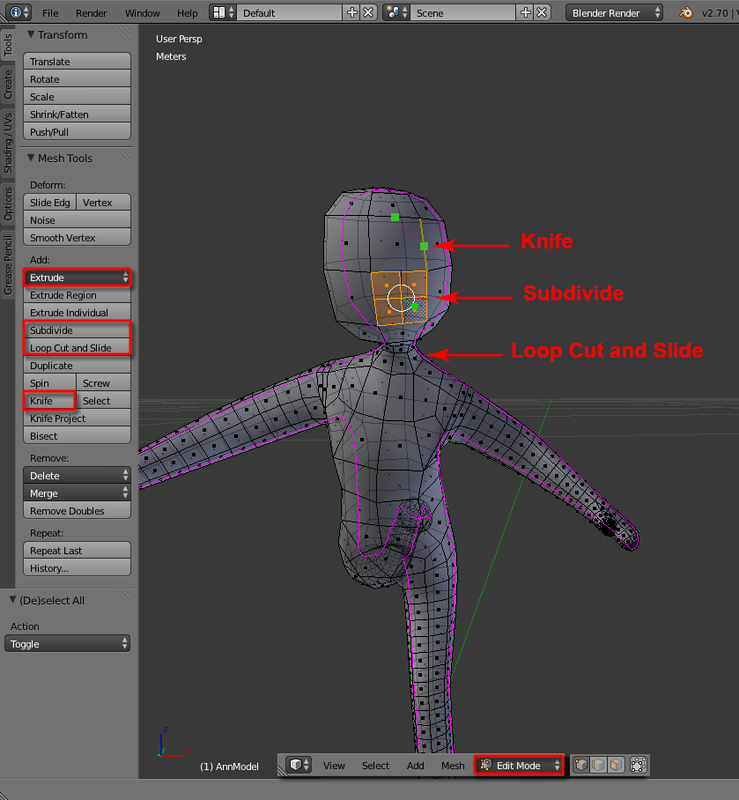 Switch to “Edit Mode” (select Vertex/Edge/Face mode whenever appropriate) and use any Mesh Add Tools (Extrude, Subdivide, Loop Cut and Slide, and Knife) to insert details for your character model. 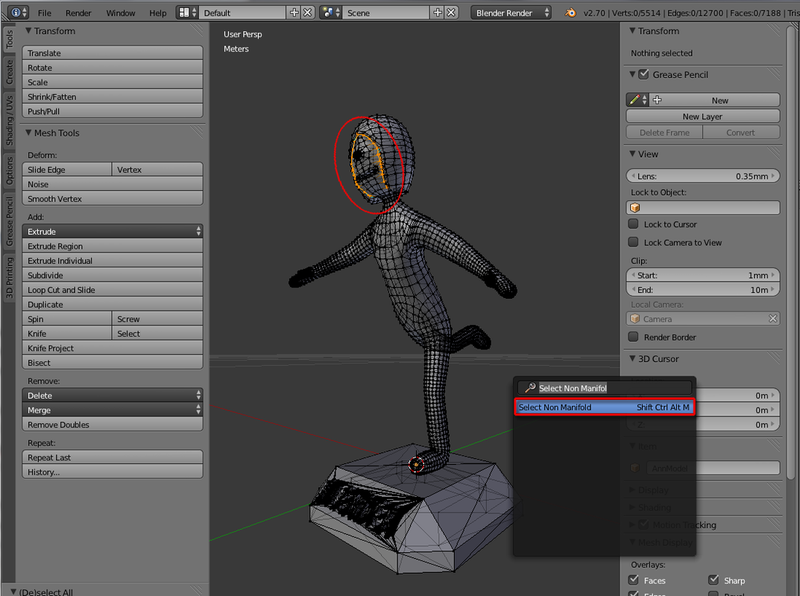 Finally, check out your model and base meshes total dimension. 23. 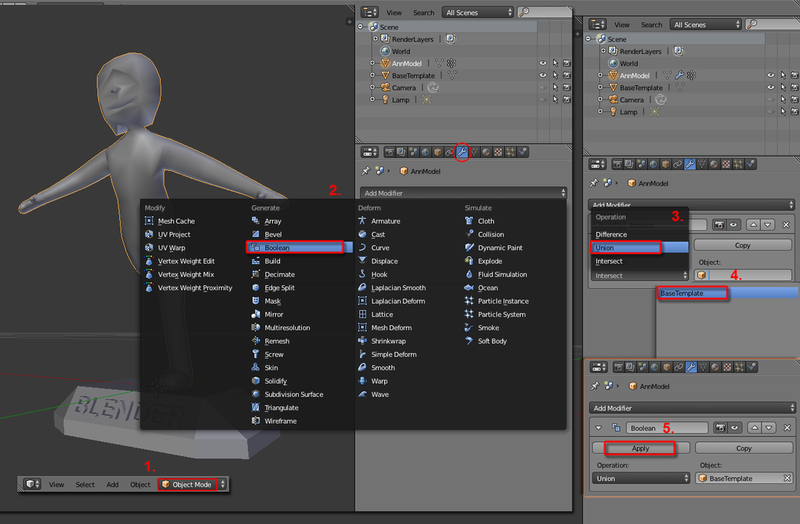 In “Object Mode”, add 'Boolean modifier', and inside Boolean panel, choose 'Union' under Operation and select the 'BaseTemplate' under Object’s pull down menu. Finally hit 'Apply'. 24. 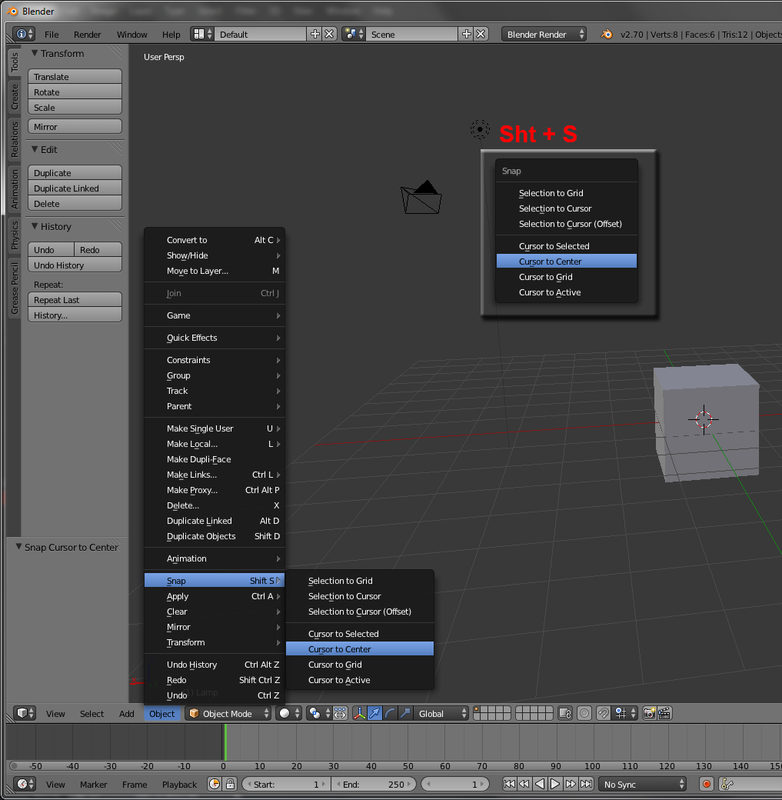 In either “Outliner” or “3D View”, “Delete” the extra “BaseTemplate” mesh. 25. Goto File > User Preferences, and choose 'Addons' tab, under Categories, select “Mesh” and check the “Mesh: 3D Print Toolbox”. 26. Inside the ‘Tool Shelf’ panel, open the “3D Printing” tab but in this case, in the 3D View’s Properties panel, there is a minor problem though the volume does not exceed this workshop’s limitation. To fix this Rotation X problem, select Object > Apply > Rotation. 27. Inside the ‘3D Printing’ tab’s Checks feature, select 'Check All' and there is a report on ‘Non Manifold Edges’ problem in this case (non manifold edges are bad for 3D printing since some edges have more than 2 adjoining faces, we need to identify them and fix these offending parts). 28. 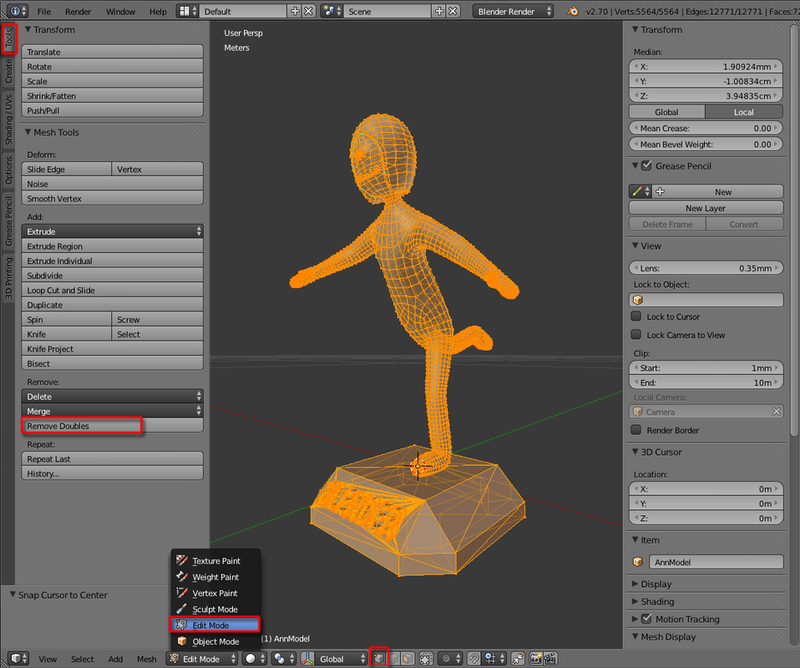 Switch to “Edit Mode” and select all Vertices (with “Select Vertex” highlighted, hit A once), then hit 'Remove Doubles' under the “Tools” panel. 29. 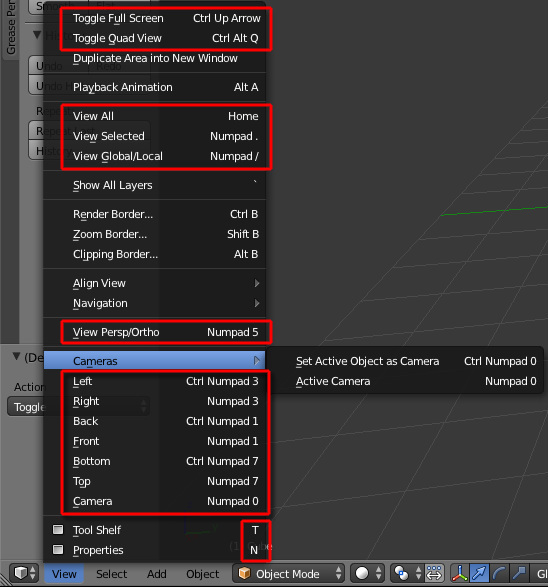 Unselect all vertices, hit 'Spacebar' to launch the search box, type in “Select non manifold” and click the displayed “Select Non Manifold” to get all overlapped vertices highlighted. 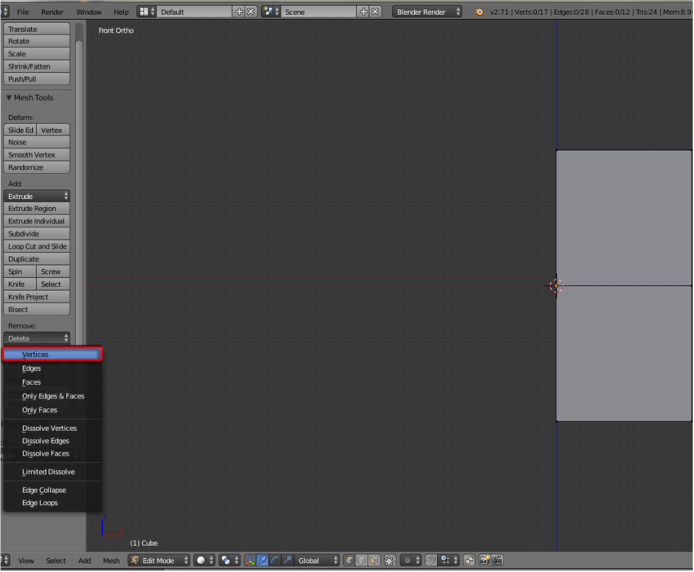 Fix them by deleting all extra vertices, edges and/or faces. 30. Before exporting the mesh, goto ‘3D Printing’ tab again and apply “Check All” once more to make sure no ‘Non Manifold Edges” and other major issues (Rotation is in “0” and dimensions fit this workshop limitation). 31. 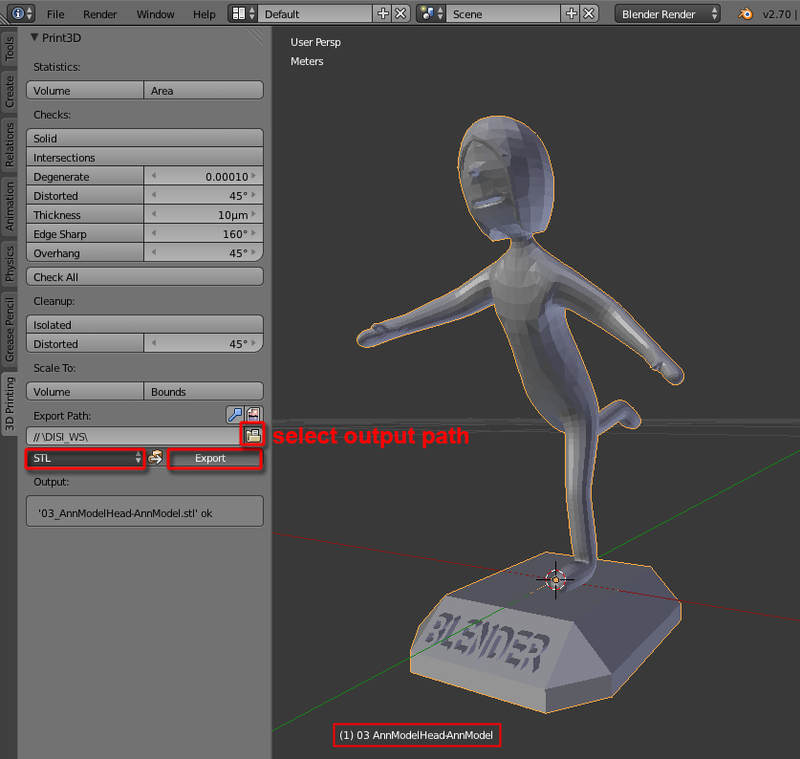 Under the "Export Path" inside 3D Printing panel, hit the folder icon and select your output path, then choose “STL” as output type (for this workshop, only .STL be accepted) and finally hit “Export”. 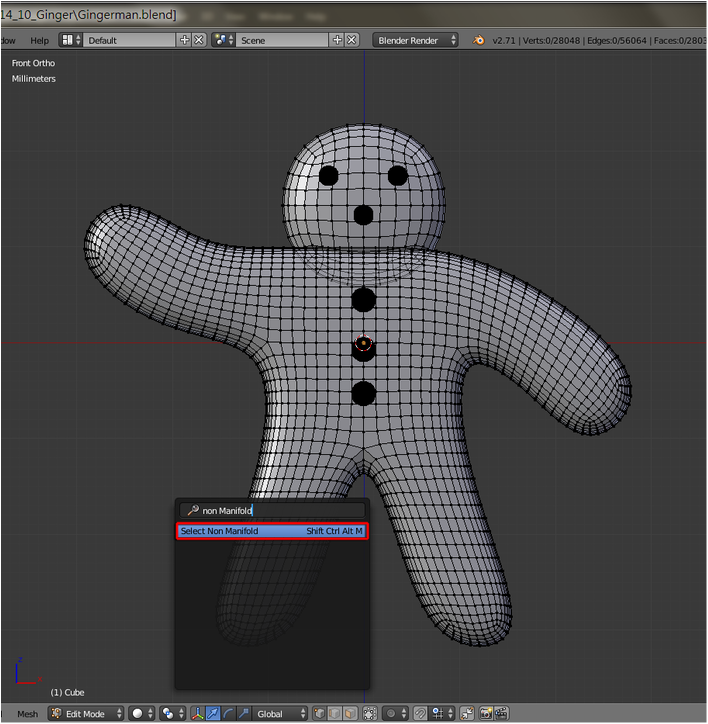 You can then try importing your .stl into Blender to preview it (in this workshop, we’d use another program to verify your .stl). Attend the last session of this workshop on 19th July, 2014 to check out your .stl model and learn the technologies about 3D printing from our university’s Industrial Center.